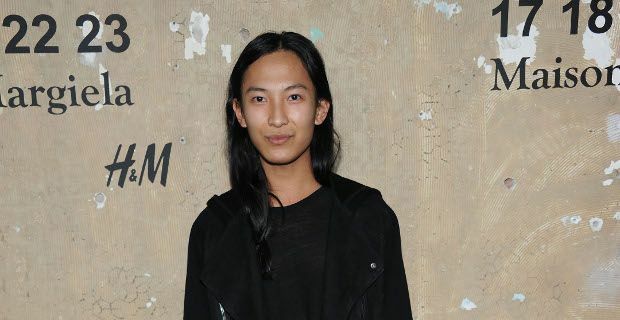 Alexander Wang has been appointed new creative director of Balenciaga, iconic Parisian fashion house. The 28-year-old American designer is embarking his new role with immediate effect, taking over from Nicolas Ghesquiere, who ran the French fashion house for 15 years. Wang has founded his own label in 2007, at the age of 23, after dropping out from Parsons The New College for Design, and winning the prestigious CFDA/Vogue Fashion Fund award. Since then he has opened 12 stores and has become one of the most loved designers on the market, gaining popularity among high-profiled New Yorkers and celebrities. He is soon set to launch a 5,000 sq ft boutique in Beijing. The designer is well known for his edgy, contemporary style, a mix of rock grunge and Parisian chic, effortlessly cool and quirky. Loved by a younger audience for his sports-luxe look and urban collections, Wang has later become a hit with a more sophisticated public of thirty-something women thanks to his impeccable tailoring skills. Picking up the position of fashion royalty Ghesquiere is not an easy task, as in the past 15 years the designer has brought the French label back to its formal glory, by working hard on introducing futuristic shapes and sophisticated fabrics, in line with the pioneer stylistic language of Cristobal Balenciaga himself. At PPR , owners of Balenciaga and others prestigious labels, like Gucci and Alexander McQueen, believe that Wang will be a breath of fresh air and will be able to bring the brand to a whole new generation. François-Henri Pinault, PPR Chairman and Chief executive officer, said "Alexander Wang will use his creativity and his own research to reinterpret and immortalize the distinctive, modern and extremely innovative style imposed by Cristobal Balenciaga." Wang is the third American to land such an exclusive position for a European fashion label, since Tom Ford was appointed creative director at Gucci and Yves Saint Laurent in the early nineties, and Marc Jacobs became the new face of Louis Vuitton in 1997. High expectations have been set for the job, and Alexander Wang has now to face and impress a panel of supporters and critics. It hasn't been revealed yet if the designer will be showing a new collection for Balenciaga at the autumn/winter 2013 Paris Fashion Week in late February next year, as at PPR don't feel the urge to put Wang under unnecessary pressure. Wang said to be “deeply honoured to embark on this new role for a brand and a house that I have such great admiration and respect for."